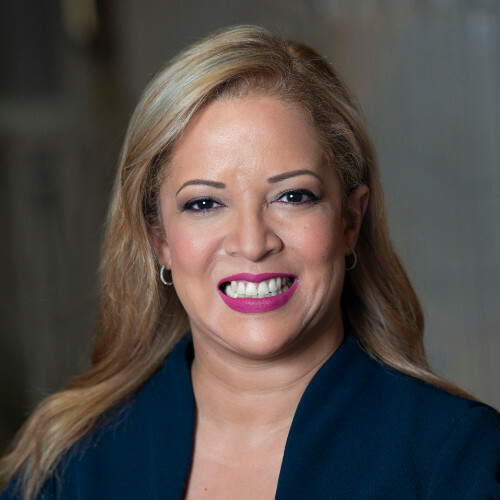 Claudia Yvette De León is Vice President of TSJ Media, one of the largest Spanish-language media companies in the United States, operating radio stations, newspapers and digital products in markets throughout the Midwest. Since 2013, Claudia has been the official Mistress of Ceremonies for the Miss Ohio Latina Pageant. Additionally, she has served as host in fashion shows, galas, and conferences. Claudia currently sits on the Northeast Ohio Hispanic Chamber of Commerce as Treasurer for her second year. She was elected as President of the Columbus Hispanic Chamber of Commerce in 2016. 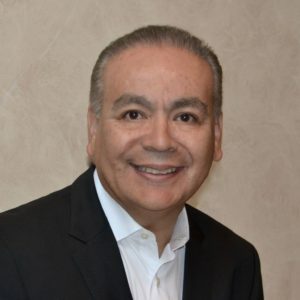 Roland Medrano has an extensive career in international sourcing and supply chain management. With over three decades of experience shaping company resources and processes in response to market demands in dynamic, he has held several executive positions including Senior Vice President – Global Sourcing at Charming Shoppes and Senior Vice President Supply Chain at Gear for Sports representing brands like Lane Bryant, Under Armour, Champion, Gymboree, Speedo to name a few. Cesar Bravo has dedicated himself to Business and Agriculture. 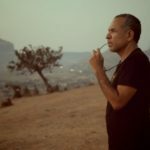 His passion for these fields is what led him to establish his company Events by Cesar Bravo in 2018. He began his journey into the world of Business and Agriculture while in High School in Los Angeles California. Mr. Bravo attended Crenshaw High School in South Central Los Angeles where he was one of 1% of students who were accepted to the Teacher Training Academy. 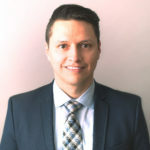 Pedro Falconi is an Associate Financial Advisor at Northwestern Mutual. 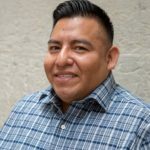 His career has been mostly to serve the specific needs of the Hispanic population in the different banks that he has worked for in various communities. Over his 10+ years in banking and financial services industry, he has worked for Fifth Third Bank in Louisville, KY and most recently he serviced the Hispanic community while working for Bank of America in Providence, RI where he earned the highest recognition in banking by becoming a member of the Pinnacle Club (Top 1% of Personal Bankers nationwide at Bank of America), just to name a few. Lair is the Community Liaison for The Ohio Latino Affairs Commission and has worked for the state for almost 9 years. Marin-Marcum is the Latina Mentoring Academy Chair that is on its 9th Academic cycle. 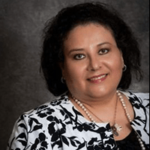 She leads the Hispanic Chamber of Columbus Education committee not only with the LMA, but also with the Managing your Business Series workshops. Fernando Rincon a graduated in International Studies retired as a career Minister Counselor from the Venezuelan Diplomatic Service in 2010 after 31 years of diplomatic activity. He was posted in Japan, Syria, Romania, Guyana as well as other positions and official missions in the Caribbean, North and South America. 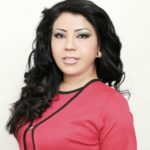 Sonia Galicia is an account manager for the Columbus market of TSJ Media, representing accounts for WVKO La Mega 103.1FM and La Jornada Latina Spanish Newspaper. 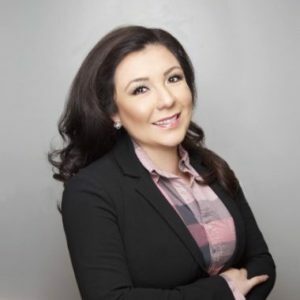 She also coordinates the station’s quarterly events, creating successful campaigns for Hispanic marketing in the area and serving as event planner for concerts and health fairs. Galicia was born in Mexico City, Mexico and moved to Columbus in 1994. Mark Moorehead has worked for Heartland Bank an Local Community Bank for the last 15 years as a Lender. He has plenty of business experience with owning his own Food Service company for 18 Years. He sold his company and worked for the 2 largest Food Service companies in Ohio, Canteen Corp. and Automatic Vendors as an operation manager. Mark has served on several Boards & Committees in Columbus. United Cerebral Palsy Board for 8 years, Education Committee for the NAACP, Columbus Board of Realtor –Affordable Housing Committee, and has served on the Board for the March of Dimes for the last 8 years. Sandra López was born and raised in the Dominican Republic. She graduated from Universidad Católica Madre & Maestra with a bachelor’s degree in Marketing. She has been a resident of Columbus since 1996 and has worked in the International Sales for several local companies, including the Mettler Toledo and Elmer’s Products.